Ford has reported a record profit in Q1 of 2016 following strong sales in Europe and moving more pick-up trucks and SUVs in North America. The automaker’s profits for Q1 rose to $3.8 billion, compared with $2.1 billion for the same period in 2015. The stronger performance in Europe helped Ford to outpace Detroit rival General Motors. Ford CEO Mark Fields said the company had an “absolutely terrific start to the year”. Shares rose 3.2% in New York, but are still 11% lower than this time last year. The company’s European business made a pretax profit of $434 million in Q1 2016 – higher than the total for all of last year – and substantially better than a $42m loss for the same period in 2015. By comparison GM made a $6 million loss in Europe during the first quarter of 2016, better than the $239 million loss in 2015. 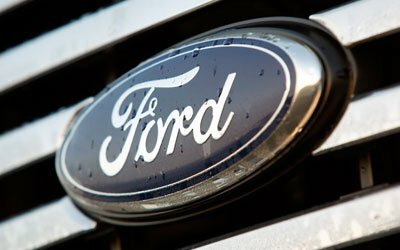 Ford remained the region’s best-selling commercial vehicle brand, reflecting the popularity of the Transit and Ranger lineups. In North America, the automaker’s F-150 trucks and SUVs were a major contributor to the company’s profit growth. Pretax profit in North America rose to $3.1 billion, outpacing GM’s $2.3 billion and more than double the $1.5 billion for Q1 of 2015. Earlier this month the automaker said it had set up a new subsidiary, Ford Smart Mobility, in a bid to combat growing competition from the technology sector. Ford has been investing in driverless cars and earlier this year tested a self-driving vehicle in the snow.